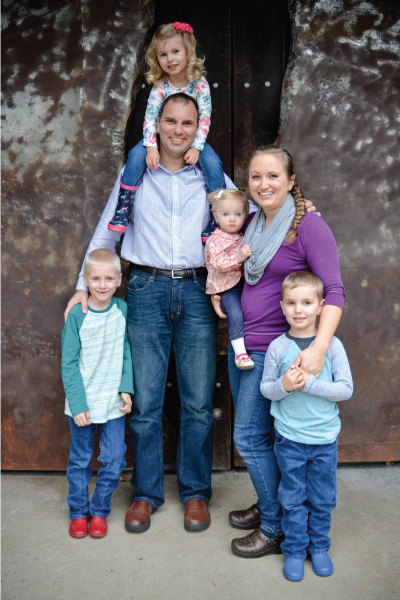 Leigh Langerwerf, PT, DPT, OCS, FAAOMPT, is a PPS member and owner of Butte Premier Physical Therapy in Chico, California. He can be reached at leigh@bpptchico.com. How do you like to spend your free time? Any time that I have that isn’t at the clinic or with my family is spent running, coaching my two boys’ tee ball team, following the Twitter machine, or reading research and the latest news. What do you like most about your job? I love what I do every single day that I go to the office. I love that I don’t have to answer to anyone and things work or don’t work based on my skill or ineptitude. I love the people that I work with and trying to figure out how to best motivate them. Finally, I love the patients I get to help every single day and that I get to be part of their progress back to full function. What do you like least about your job? There really isn’t much that I dislike about the job. I get annoyed when people don’t take responsibility, but then I turn that back and try to determine if I didn’t tell them what the expectations were of their job or if what I’m expecting unrealistic (given the employees’ skill set). What is the most important lesson you’ve learned? I’ve learned that hard work conquers all. I might not be the smartest, most skillful, or most articulate at all times, but I will never be outworked. There are a lot of conversations being had about work/life balance and if you love what you do, work/life balance doesn’t really hold true. The one caveat to that, and the lesson that I’ve had to learn, is that time must be made for family and the people that you love regardless of how committed you are to your business, profession, or patients. Describe your essential business philosophy: My essential business philosophy is that we provide evidence-based care to heal our patients and help them enjoy life. If you take care of your patients, the rest works itself out. The other piece of that puzzle is that it begins and ends with your employees. If they aren’t motivated or happy to be at work, then the patients will notice, the care will degrade, and the business will not survive for the long term. Describe your management style: I try to not micromanage my employees. It’s taken a while to get there. I used to stress over every little detail, and then one of my newer physical therapists reminded me that all of the physical therapists are professionals and will act that way. That allowed me to not stress so much about minute details that I couldn’t control and focus more on motivating and figuring out how to help my employees be more productive. How do you measure your success? 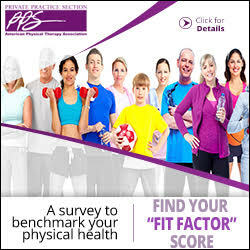 We measure our clinical success with our FOTO (Focus on Therapeutic Outcomes) scores primarily. However, bigger picture, we measure our success by subjective reports of our patients: Are they happy with the service they received, do they come back, and do they refer their friends (i.e., unofficial net promoter scores). What goal have you yet to achieve? Growing the business further, potentially adding a third or fourth location. Becoming better at taking things in stride and not letting the little cumulative stresses get to me. Getting to the point of allowing myself enough flexibility to have some more time with my family. What were your best and worst decisions? My best decision was the majority of the employees that I’ve hired. These people really are the key to the success of my business. My worst was not firing two billing companies earlier than I did. This cost the clinic a lot of money that can never be recouped. Along those lines also is not firing employees when they don’t really fit our culture. What was your toughest decision? When I had to fire my first employee who wasn’t working out. Second to that might be when I actually started the business. If you could start over, what would you do differently? Not hire the biller that I hired. I was going to use a larger billing company, but my employer at the time talked me into using his biller. This was a huge mistake, but at the same time taught me that loyalty can only go so far and if someone isn’t getting the job done, you need to move on. Describe your competitive advantage: Our first competitive edge is that we treat every patient like they are family. They like this and they come back; they also tell their friends and family as well. Bridgit Finley, who was in my Fellowship program, first verbalized this thought and I remember listening to her podcast and thinking this is everything I believe, finally put into words. The second competitive edge that has helped us a lot is building our new clinic next door to a group of orthopedic surgeons and a surgery center. It’s like having an instant marketing program every time the surgeons pull up and park at their building. I have to thank Rob Worth for his insight during the process of making this transition. Describe your marketing strategy and highlight your most successful action: We don’t have much of a marketing strategy other than location and word of mouth marketing. What unique programs do you offer that set you apart from the competition? We have a therapy pool with two underwater treadmills, which definitely sets us apart, and this is a great physical differentiator. One of our physical therapists is also a certified bike fitter, and we have plans to grow this program. Our staff is well trained, we have three physical therapists who have their orthopedic clinical specialist (OCS) certifications (two of those have gone through clinic-sponsored residencies), and the other physical therapists are expected to go through residency training in the future. What are the benefits of the Private Practice Section (PPS) membership to your practice? I never knew the benefits of PPS membership prior to this year. I’m a member of Rotary and I love that group because they are all business owners or managers, who work with and deal with the same problems that I face. When I attended the PPS annual conference in Las Vegas, though, I found a whole network of people that work with and deal with the same problems that I face . . . within my own industry. It was phenomenal talking with and gaining knowledge from some of the best and brightest in the profession. I’m very thankful to Jerry Durham, Jim Hoyme, Ann Wendel, and Mike Horsfield for talking with me about the benefits of attending the PPS annual conference. What worries you about the future of private practice? What worries me about the future of private practice is, are there enough young people out there who are driven enough to start private practices? I moderated the talk on Millenials that Craig Johnson, Stephanie Weyrauch, and TJ Janicky gave at the PPS annual conference and I was amazed at how many people struggle with the same concerns that I do with regards to understanding the next generation of physical therapists and what their goals and aspirations are. I am also concerned about how these goals and aspirations relate to private practice and if there will be many in the next generation who want to carry that torch forward. What are you optimistic about? Growth and development. The comment is made all the time, but it really is a great time to be a physical therapist. There’s plenty of business out there for all of us and I think we need to do more work to see each other as colleagues instead of as competition. If we all get better at what we do, then the profession benefits from the growth of all of our collective businesses. What are your goals for the next year? I’ve joined the PPS Peer2Peer program, and have set goals to refine and improve at the day-to-day operations of my business and understand ways and opportunities to grow more. Along those lines, my primary goal will be to get our second location up and running this year. Where do you see the best opportunities for your practice in the future? I think the best opportunities for my practice are going to be to stay the course and grow appropriately and timely, continue to focus on our patients, and collaborate with as many other PTs and health care providers as possible in order to further expand what my practice can do for the greater good of the profession. What do private practitioners need to do to thrive in today’s health care environment? I think that we need to be willing to collaborate more, whether it’s with each other in the PPS organization, our local “competition”/colleagues, larger health care organizations, and/or insurance companies. I think that everyone needs to realize that they are not an island, and there is a bigger picture of what needs to be done to improve care for patients without increasing unwarranted costs. This only comes from getting better at what we do and working with others.